Is one of the Black Badge permanent Bespoke series models. 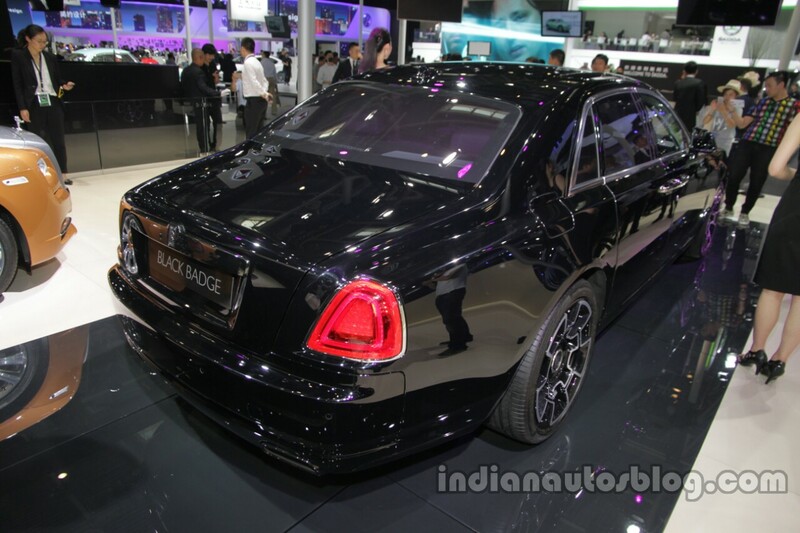 The Rolls-Royce Ghost Black Badge had its Asian debut at Auto China 2016 (2016 Beijing Motor Show) held last month. The Ghost Black Badge was first shown at the 2016 Geneva Motor Show. The Rolls-Royce Ghost Black Badge isn't a limited edition, it's one of the black-themed models from the Black Badge permanent Bespoke series targeted at young customers. Staying true to its theme, is firstly the body paint. It's the "deepest, darkest and most intense black" ever seen on not just a Rolls-Royce, but on any given production car to date. Needless to say, customers do have the option of specifying the colour of their wish. The new composite carbon fibre and lightweight alloy wheels took four years to develop. They have 44 layers of strength, with 22 layers of carbon fibre laid in three axes and folded back on themselves at the outer edges of the wheel rim. The 3D forged, aircraft-grade, aluminium hub further adds to the strength. Interior features include aerospace-grade aluminium-threaded carbon fibre composite surfacing, air vents darkened through the use of Physical Vapour Deposition, Black Badge clock having 'Unlimited’ rating infinity logo on the face and hands tipped in orange, 'Unlimited’ infinity logo on the black leather upholstery with Tailored Purple trim and black starlight headliner. 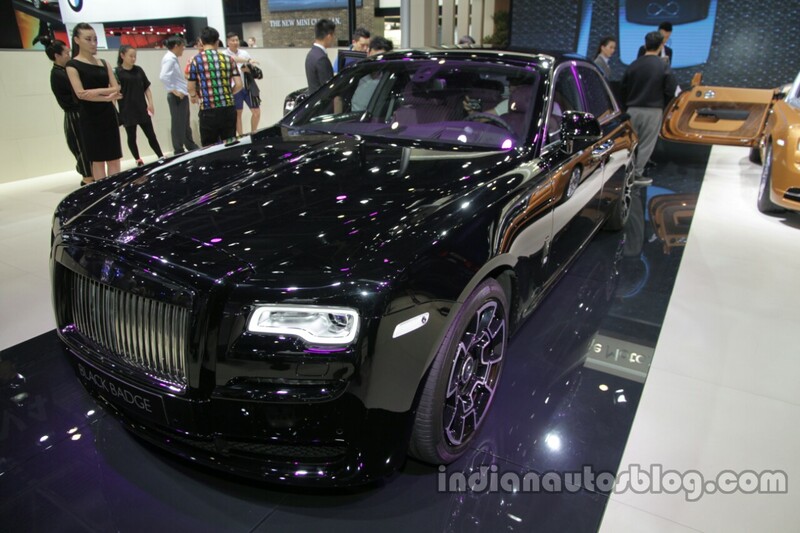 Along with the styling, the Rolls-Royce Ghost Black Badge is meaner in terms of performance too. The 6.6-litre twin-turbo V12 has been uprated to produces 603 hp (+40 hp)and 840 Nm (+60 Nm) of torque. To enhance the power delivery, the 8-speed automatic transmission has also been refined.